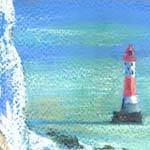 Painting of Beachy Head, Sussex. Also prints, cards, e-cards, fridge magnets and keyrings. 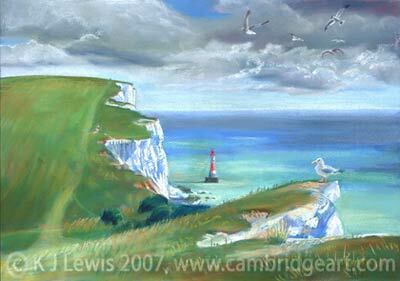 A pastel painting of Sussex, on the south coast of England. Limited edition prints of this picture are for sale online below.